Sometimes our phones like to go a little wonky, and it's in those times that users may find their side buttons or even their touch screen become unresponsive. When that happens, a force restart is usually in order. However, iOS users with new Apple hardware may not know how to force restart their phones if such a problem arises, and some people would prefer not to have to dive into the Apple support webpage. Don't worry, though, we're here to walk you through all the different ways to shut down, restart, and force restart the iPhone 8 and iPhone X. Part of the difficulty in force restarting an iPhone X comes down to Apple changing the functionality of the iPhone X side button when compared to older models. Previously, users could long-press on the side button to reach a power options dialog where they could completely restart the phone, or hold down the side button and the volume down button for ten seconds to force a restart. 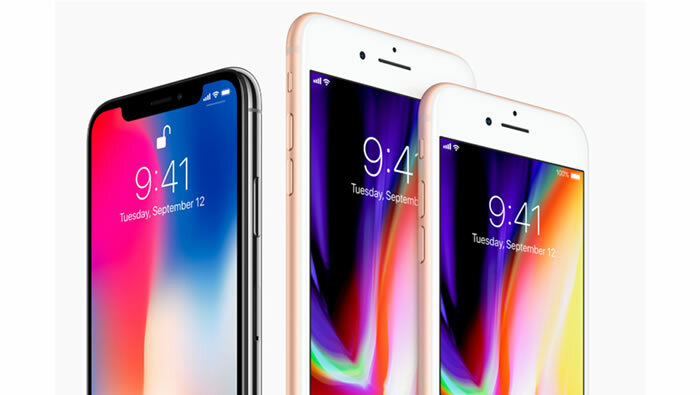 With the iPhone 8 and iPhone X, users have a few different options. The first and most straightforward way is to use a trick that involves pressing the side and Volume buttons in a specific order. • First, press and quickly release the Volume Up button. • Then quickly press and release the Volume Down button. • Lastly, press and hold the side button for about ten seconds. After the last step, users will see the screen go blank, then the phone will turn back on and the Apple logo will pop up on the screen. At this point the iPhone X is restarting itself, and should put users back at the Home screen within less than a minute. The second option is less straightforward as it involves heading over to the iPhone Settings menu. Press the Home button, then locate and tap on the Settings icon. Scroll down to the end of the page, then select the Shut Down option. There's one more shortcut that may be of interest to iPhone users. The iPhone X introduced a function called AssistiveTouch that allows users to quickly control a number of device functions. AssistiveTouch can be turned on by heading to Settings, Accessibility, and AssistiveTouch. Once it's been activated, users can tap on the AssistiveTouch icon to open a window with several controls, tap the More icon, and then tap on the Restart icon to force the phone to reboot.